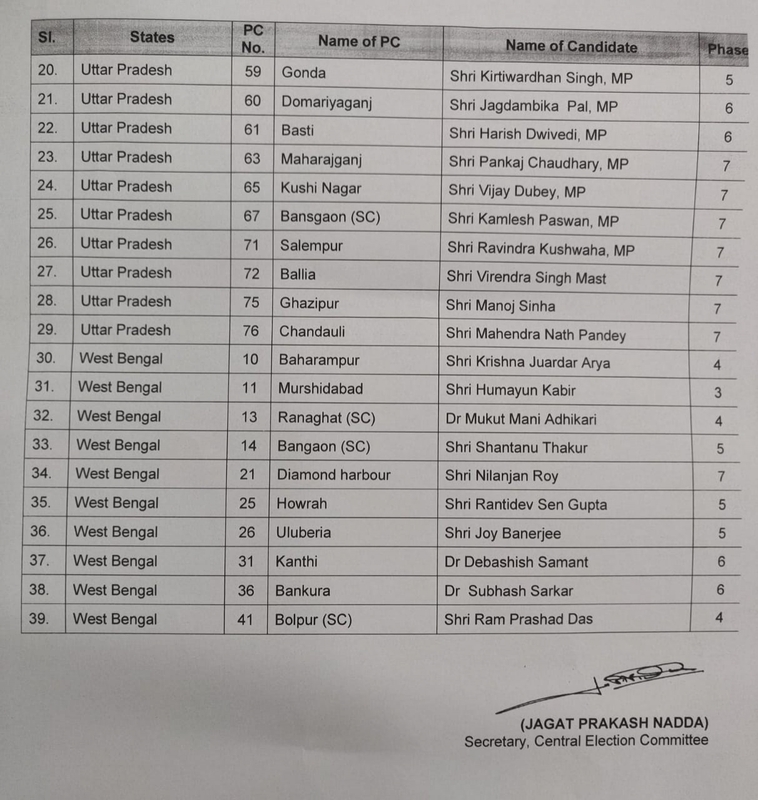 The Bharatiya Janata Party on Tuesday released the 10th list of Lok Sabha candidates, swapping seats of Union Minister Maneka Gandhi and her son Varun Gandhi. Varun Gandhi, currently an MP from Sultanpur in Uttar Pradesh, will contest the Lok Sabha elections from Pilibhit, a seat currently held by his mother. UP BJP chief Mahendra Nath Pandey will contest from Chandauli while Union Minister Manoj Sinha has been renominated from Ghazipur. 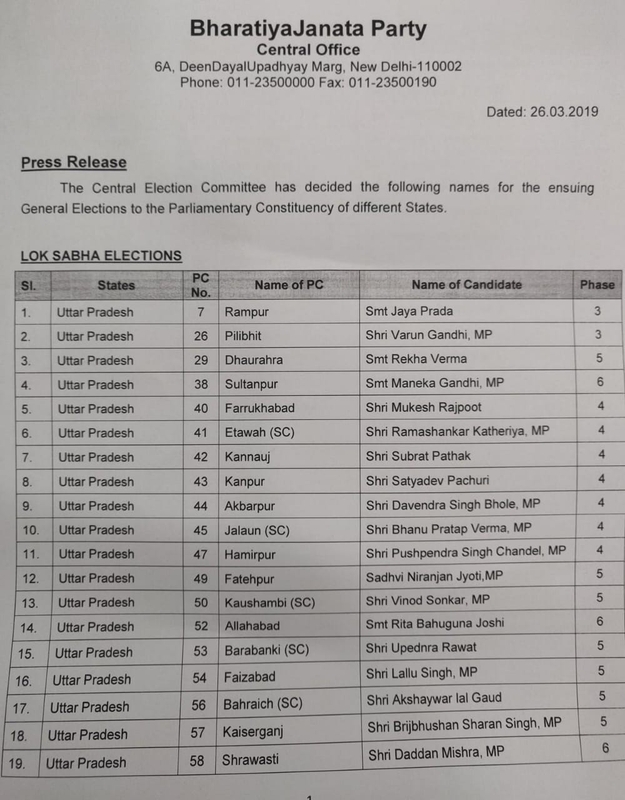 Satyadev Pachauri will contest from Kanpur. The seat is currently held by senior BJP leader Murali Manohar Joshi. "Ram Shankar Katheria will contest from Etawah. Rita Bahuguna Joshi (UP minister) will contest from Allahabad," Singh said. Jagdambika Pal has been fielded from Domariagan while Humayun Kabir and actor Joy Banerjee have been fielded from Murshidabad and Ulberia in West Bengal respectively.